I love this time of year and it brings back so many happy memories from my childhood ……………..
Roaring fires and the lights on the Christmas tree and feeling warm and cosy and safe. Mrs Roche a wonderful wonderful woman who was always there for us, Who taught me to sew and knit . Who minded the family and loved us all. My dad putting up the Christmas tree and that the lights to his dismay! Always seemed to be in a tangle in the box. Mam making the most delicious cakes maybe 14 or more, beautifully iced and giving them as gifts and of course one extra for the raffle. To putting on your Sunday best and raiding the warm cooked ham after coming from church on Christmas eve. Mam and dad delaying Christmas dinner until I arrived home from work. 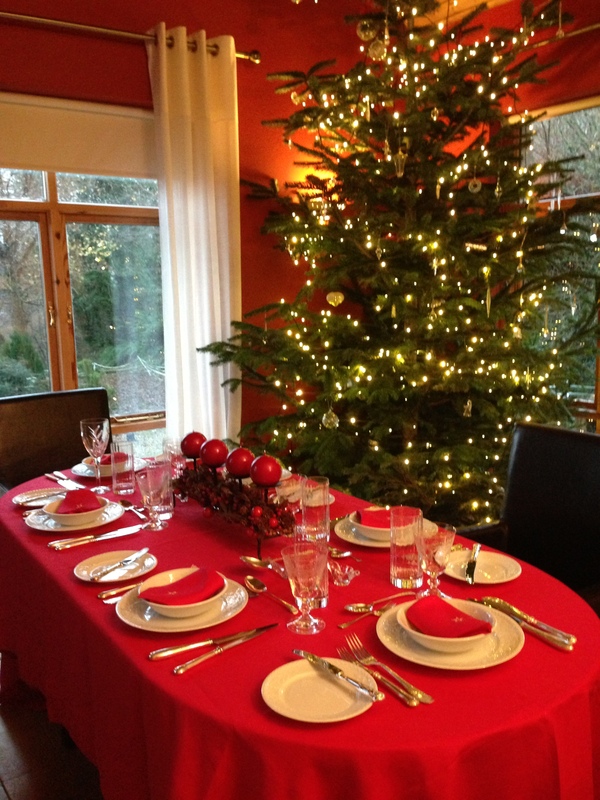 Now I take a lovely Irish linen tablecloth and dress the table and prepare for Santas arrival. Have safe and Happy Christmas.